Cora is the name for Kitty Hawk's experimental "flying taxi," a test vehicle in New Zealand meant to prove to regulators that personal transportation is a safe option for the future. You’d be forgiven for thinking everyone loves the idea of flying cars; news bytes about the futuristic autos have seemingly been popping everywhere. A Miami condo developer is building a landing pad atop his spacious, glass-enclosed building. He envisions residents hitting Palm Beach in a half hour by flying car, as opposed to two hours by terrestrial vehicle. "Startup City"—AKA Tel Aviv, Israel—is wild about the tech. An upcoming TechCrunch conference there will prominently feature designers of a flying bus. Google flying car enthusiast/Alphabet co-founder/CEO Larry Page is seriously backing the concept. His side company, Kitty Hawk, entered into a deal with regulators in New Zealand earlier this year to test the technology. Within three years, Page envisions commercial flying taxis at work in the island nation. With all this heat in the air, it’s tempting to think everyone is excited about the possibility of these airborne automobiles. There are a few parties throwing wet towels on the ideas of a Jetsons-like future. Chief among them is the Federal Aviation Administration (FAA), the agency charged with overseeing the safety of all civilian flights in the United States. The FAA isn’t going to be able to service the industry’s pace or desire to get passengers into the air in flying cars anytime soon, acting administrator Dan Elwell told an audience of about 1,000 at Uber’s recent summit, "Uber Elevate." 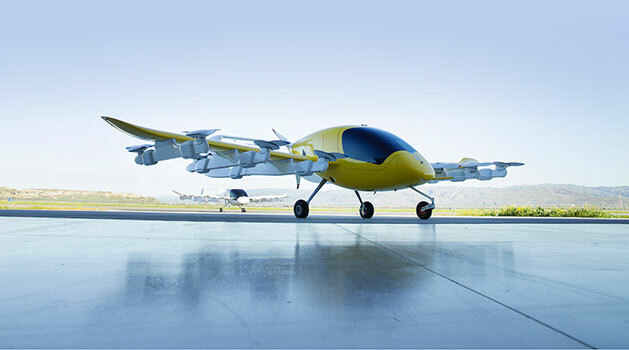 The May 8-9 gathering in Los Angeles was meant to stoke interest in the idea of UberAir, the company’s flying taxi research and development project. Uber officials say that by 2023, they’ll have flying taxis in the air above Los Angeles, Dallas, and a yet-to-be-named international hub. During the conference, Uber’s Jeff Holden, head of product for the company, mused about the future of air traffic control. Perhaps controllers could split up a city’s air traffic, carving out separate spheres of responsibility for airport traffic and UberAir traffic, according to a report in Wired. FAA administrators would prefer integrated airspace, shared between both commercial flights and flying cars, Holden acknowledged. The agency’s caution stems in part from funding issues and a careful regulatory approach to new passenger technologies. United States airspace is heavily trafficked: of the busiest airports in the world, two of the top five and five of the top 20 are found in the country. Developing the rules and infrastructure to support flying cars will take longer than it will for the industry to build and ready the vehicles, Elwell added. Flying car developers are having more luck in lightly trafficked nations like Dubai and New Zealand, where there are many fewer airports and generally looser regulations. Still, Elwell indicated that U.S. flying car regulations and an “OK” from the FAA may be a matter of if, not when. In the meantime, perhaps humans should be thankful flying cars haven’t taken off yet. Elon Musk is pretty attached to his head.